We recently had the great pleasure to thank Angélique Barbé by surprise for working with us for the past few years. Dealing with claims can often be an extremely difficult and frustrating job and in our mission to standardize the claims handling process within the air cargo industry, we thankfully experienced the great support from Angelique and the Kuehne Nagel Fresh Chain team. 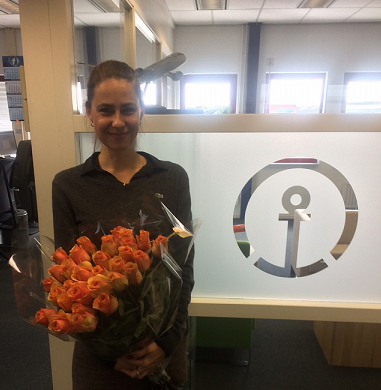 A small gesture to Angélique and the Kuehne Nagel Fresh Chain team for their valuable feedback to increase the customer experience in claims handling process between shipper, forwarder and airlines. Angélique, again a BIG thanks for working with us. I hope the pastry was tastefull and you enjoyed the flowers for a good period of time!